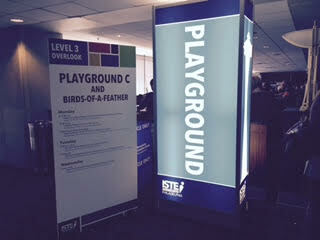 Today I am excited to share 2 EdTech Coach Playground Sessions at #ISTE2015. In a last minute attempt to make sure everyone can quickly get to my handouts I used the goog.gly bookmarklet to create a shortened url and a QR code with the click of a button. 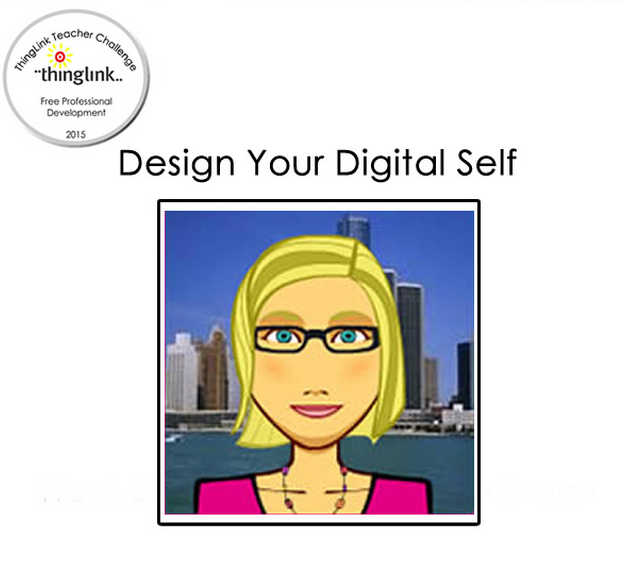 We are pleased to launch the ThingLink Teacher Summer Challenge today at ISTE 2015! This free, online, self-paced professional development is designed for busy educators who want to build a professional learning network and have fun learning through collaborative play. We hope to make some noise here at #ISTE2015 and grab the attention of enthusiastic colleagues who have come together to connect and collaborate. To join the challenge, simply sign up. IIn this activity you will create an interactive image to introduce Your Digital Self to other members of the ThingLink Teacher Challenge PLN. You will create an interactive image to define yourself through through multimedia by creating tags to to whatever it is that defines your Digital Self. You can revisit and add to your Digital Self as you change and grow. Use the guided channel below to guide you through the process. Consider using the activity with students at the start of the school year. Please include tags with your name and social media tags to make connections with other participants. Use the hashtag #TLChallenge. Create an avatar or use an existing avatar you have. We hope you will join us for this flexible summer learning adventure. All you have to do is sign up. After you sign up, you will receive a step-by-step guide to help you join our group with the invite code. This will give you access to the EDU Premium trial so you can truly explore the powerful possibilities of teaching and learning with ThingLink EDU. We will begin the first challenge activity during the week of July 5, 2015. We hope you will join us for this fun filled and excited, self-paced professional learning opportunity. Questions? Please email Susan@thinglink.com. With just a few short days until the official launch of the 2nd ThingLink Summer Teacher Challenge, I am pleased to announce that nearly 200 educators from 18 countries have signed up to participate. This will be a great opportunity to build our personal learning networks globally and grow as educators as we create and share a useful set of resources. Use of an EDU Premium, district level organization account will streamline the collaboration as we share a full featured workspace. The ThingLink Summer Teacher Challenge is a free, self-paced, online professional development opportunity designed to help teachers explore the powerful possibilities of using ThingLink for teaching and learning. This 5 week challenge invites teachers to have fun learning to use interactive images, slideshow channels and interactive video to power up your pedagogy and redefine learning in the classroom. Throughout the challenge, we will use the ThingLink flexible suite of interactive tools for schools to create media rich, customized resources for use in your classroom. The weekly challenge activities are designed to be beneficial to educators who are new to ThingLink and also to experienced users. We will explore all the flexible features of ThingLink and discover the tremendous potential for using this amazing tool. Week 2: Curate Incredible ContentDiscover, collect, reuse and remix the work of others. Week 3: Explore ThingLink UnPluggedExplore learning on the go with a mobile device without wireless access. Week 4: Design an Interactive Collaborative Student Project Learn to combine ThingLink with the power of Google Docs to create engaging learning experiences. Week 5: Flip It with ThingLink for VideoLearn to create interactive video and include it in a slideshow channel. Week 1 will begin on June 28th. Entries will be accepted until mid August. There is still time to join us on this self-paced global learning adventure. The Teacher Challenge official launches on June 28, 2015. Interested participants can sign up through the quick and simple form. This will allow us to share the invite code so you can join our district organization group and access our shared workspace. This will also give you access to a ThingLink EDU Premium trial, only available through this challenge. We will also send a reminder to your inbox to remind you about the launch on June 28th. We hope you will join us for this fun filled and exciting, self-paced professional learning opportunity designed for busy teachers like us. Questions? Please email susan@thinglink.com. I had the opportunity to present at the Superior Tech 4 Teachers conference on last week. Although I would have loved to present in person, my presentation was shared virtually through a Google HangOut this time. While I shared my ideas and interactive presentation with a room full of educators, the amazing Jennifer Williams facilitated the session live at the conference. This picture was taken during the session and shared via Twitter. I was able to take a peek into the room immediately following the presentation. This one picture helped me see that there were participants on the other end and they were engaged and following along on their own devices. This one picture made the experience real to me. After the session Jennifer and I had a conversation via text about the power of a virtual presentation to reach educators beyond those who were actually at the conference. And so, I’m sharing the presentation here for others to view. I’m excited about the great response to this week’s announcement of the next ThingLink Teacher Summer Challenge. So far, more than 100 teachers from 10 countries have signed up to participate, collaborate and create resources for use in our schools during this free, self-paced PD opportunity. Building a global community of learners is a powerful way to adapt to the changing climate facing educators today. This summer’s challenge offers educators the opportunity to build global relationships that lead to trust and turn collaboration into results. Explore this interactive Wordle of participant locations so far, and please consider signing up to join us for the next ThingLink Teacher Summer Challenge. The first activity will be launched on June 28, 2015 via the ThingLink Blog. 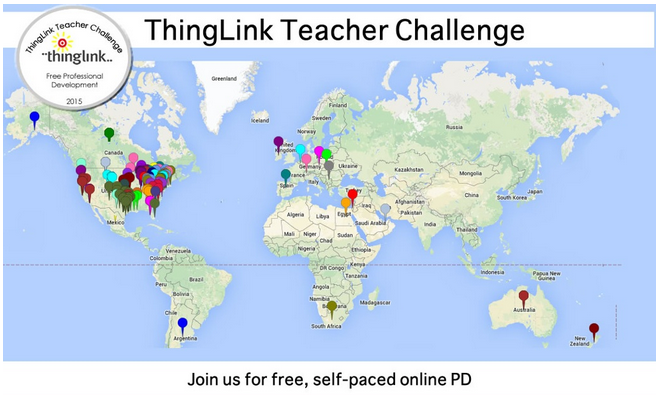 We are pleased to announce the 2nd ThingLink Teacher Summer Challenge, back by popular demand. Sign up now to prepare to join us when we officially launch at ISTE 2015 during the week of June 28th. Throughout the challenge, we will use the ThingLink flexible suite of interactive tools for schools to create media rich, customized resources for use in your classroom. The weekly challenge activities are designed to be beneficial to educators who are new to ThingLink and also to experienced users. We will explore all the flexible features of ThingLink and discover the tremendous potential for using this amazing tool. Here are 3 reasons to take the ThingLink Summer Teacher Challenge. Summer is a time when teachers can enjoy a break from the highly scheduled daily routines of the school year and the ThingLink Summer Teacher Challenge is designed to compliment your summer lifestyle. There are no rigid deadlines to interfere with your plans, so you can progress at your own pace and enjoy the freedom and time you need to learn and experiment through constructive play. Of course, there will be plenty of support available as you need it throughout the challenge. As use of technology in the classroom becomes more prevalent, and we strive to adapt to the changing educational climate, it can be difficult and sometimes overwhelming to keep up if we are trying to do it all on our own. 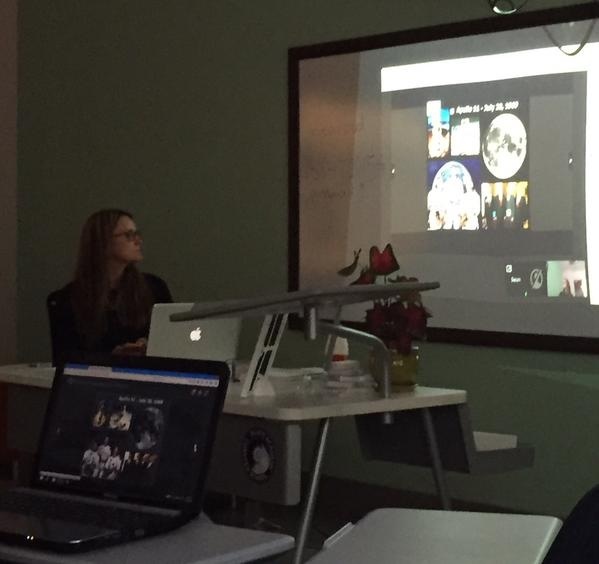 The ThingLink Teacher Challenge is designed around the idea that we are all learning together. One of the of the goals of this professional development opportunity is to connect, collaborate and build on the ideas of others through a shared workspace. We will utilize the streamlined management and workspace available within a simulated District Organization to facilitate immediate sharing of work and to inspire each other throughout the challenge. As a bonus, all participants will get a 3 month EDU Premium trial for use to provide you with the opportunity to unleash the full potential of ThingLink. In addition to learning to use the powerful features available with ThingLink, each of the weekly challenges is designed to meet several EDU goals aligned with best practices and standards. The end result will be the creation of your own ready to use customized portfolio of differentiated resources to match your learning targets. In addition, you will learn to embrace the use of slideshow channels to curate a collection of resources created by others. You can use the resources as is, or remix them to fit your specific teaching and learning goals. Discover, collect, reuse and remix the work of others. Explore learning on the go with a mobile device without wireless access. Learn to create interactive video and include it in a slideshow channel. Interested participants should sign up using the form below. This will allow us to share the invite code so you can join our district organization group and access the shared workspace. This will also give you access to the EDU Premium trial, only available through this challenge. We will also send a reminder to your inbox to remind you about the launch on June 28th.